I’m glad to be in Boston for the start of a new year. I have high hopes for 2014. And to start us off, I will experience my very first Nor’easter! That’s a thing here. 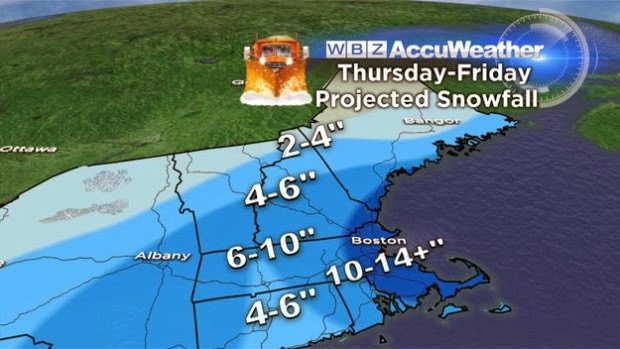 I’m sure most people are NOT excited, but since I don’t have a car and don’t have to worry about plowing or shoveling snow, I’m looking forward to this storm. This should be interesting–I’ve been told that people freak out during storms like this and go crazy at the grocery stores. Maybe I should go buy some milk.